RDF databases, also known as triplestores, are a type of graph database that store triples. Triples are data points represented in a subject-predicate-object relationship. These databases perform retrieval in this triple format as a more specific way of receiving and viewing the data. RDF databases are beneficial because they organize the information into these sets of triples, but the can also be displayed to the user in graphs. Data can be pulled from RDF databases with a variety of query languages, but the most common is SPARQL. RDF Databases reviews by real, verified users. Find unbiased ratings on user satisfaction, features, and price based on the most reviews available anywhere. Hundreds of billions of facts building the World Knowledge Graph are available in the Linked Open Data cloud. Even more are gathered as Proprietary Data Sets. Graph DB ™ is a semantic graph database that serves organizations to store, organize and manage content in the form of semantically enriched smart data. A non-relational (NoSQL) database, Graph DB handles massive loads, queries, and inferencing in real time. This allows for seamless integration of disparate data silos and a holistic 360-degree view of information. In essence, Graph DB is a “semantic repository”, a database system used for storage, querying, and management of structured data. It uses ontologies to automatically reason about data. Smart data management means better information products and services at a faster speed. This is achieved by handling information in a way that allows data items to be seamlessly mixed, exposed and shared across different platforms. As a result, their relationships mapped with a high level of detail. With Graph DB your data is stored in atomic facts that are easy to classify, reuse, combine share and integrate. Something more, such a mechanism for storing and managing data allows the creation of new facts that are implied in data. How Graph DB Enables Smart Data Management? Data integration and interlinking - The ability to recognize entities across multiple sources hold great promise helping to manage your data more effectively and pinpointing connections in your data that may be masked by slightly different entity references. Single interconnected information space formed by structured data and text documents - Materialised connections between free-flowing, unstructured text, and data facts stored as database entities are extremely valuable. Such connections link entities from the database to the documents that mention them denoting relationships from which they were extracted. Linked Open Data Compatibility - Linked Data is an approach for publishing and interlinking data on the web to improve data interchange. The amount of openly released dataset grows exponentially in the recent years, covering everything from music, places, subjects of interest and products, to highly specific domains as drugs and bibliography. When applied correctly, semantic facts can enhance your knowledge management and data discovery applications. You can answer more queries much faster and the results of the queries are highly relevant to your search. W3C standards compliance - Graph DB stores semantic facts in the form of subject - predicate - object using the Resource Description Framework. RDF is a standard model for data publishing and interchange on the Web. RDF has features that facilitate data merging even if the underlying schemas differ. Expressive, rich and flexible data model - Graph DB supports all forms of metadata classification of data, express as ontologies, where ontologies are equated but limited to thesauri, taxonomic hierarchies of classes, class definitions and relations. Reasoning - Graph DB can infer new knowledge from existing facts. This is called inferencing. Why is this important? You can create new facts from existing facts. Your queries run faster. Your results are more accurate. Not all graph databases support this capability and some apply different techniques to infer new semantic facts. The applications of inferencing span industries and use cases. Apache Marmotta is a linked data platform that comprises several components. In its most basic configuration it is a Linked Data server. AllegroGraph® is a modern, high-performance, persistent graph database. AllegroGraph uses efficient memory utilization in combination with disk-based storage. AllegroGraph supports SPARQL, RDFS++, and Prolog reasoning from numerous client applications. Blazegraph is a scalable, high-performance graph database with support for the Blueprints and RDF/SPARQL APIs. 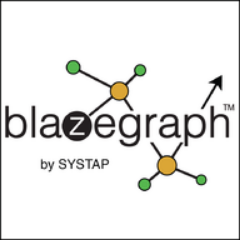 Blazegraph is available in a range of versions that provide solutions to the challenge of scaling graphs. Blazegraph solutions range from millions to trillions of edges in the graph. BrightstarDB is an RDF triple store. It does not require the definition of a database schema, and with the RDF data model model you can easily add and integrate data of all shapes. 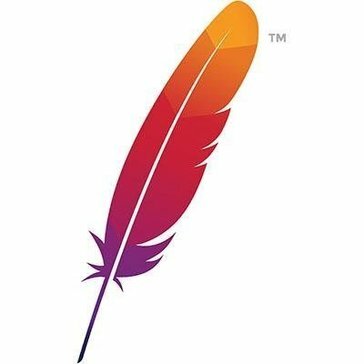 We also implement the standard SPARQL query language, update language and protocol so you can use off-the-shelf client tools to connect to your data stores. Stardog is a reusable, scalable knowledge graph platform that enables enterprises to unify all their data, including data sources and databases of every type, to get the answers needed to drive business decisions. Stardog is an enterprise knowledge graph platform that allows customers to query massive, disparate, heterogeneous data regardless of structure with simplicity of implementation. Stardog’s enterprise customers include Fortune 500 companies in finance, healthcare, life sciences, energy, media, and government. TripleBit is a fast and compact system for large scale RDF graph. TripeBit is designed with a compact storage and index structure, and it does not only reduces the size of indexes (e.g., through compression techniques) but also minimizes the number of indexes used in query evaluation. Hi there! Can I help you find the best RDF Databases solutions?